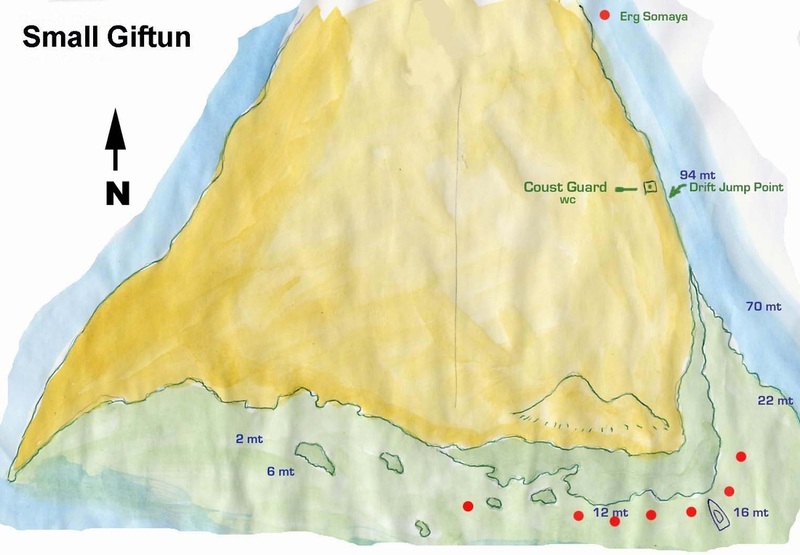 Small Giftun Island or Giftun Soraya has some stunning dive sites with incredible marine and coral life mostly because of its exposed and nutrition waters. Its eastern side has a spectacular steep wall where large pelagic come and feed frequently. Its southern and northern reefs are nice as well only less deep and thrilling. The sheltered south is a great overnight point for live-aboard tours.